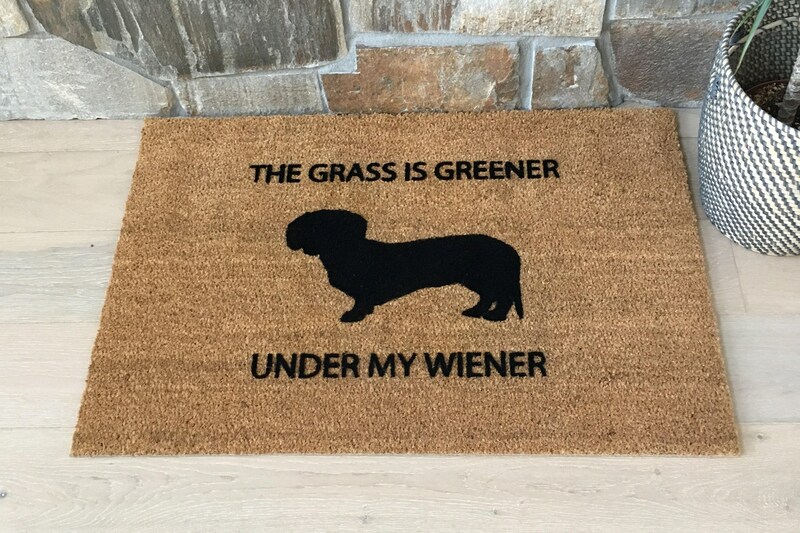 The grass is greener under my wiener, what?! 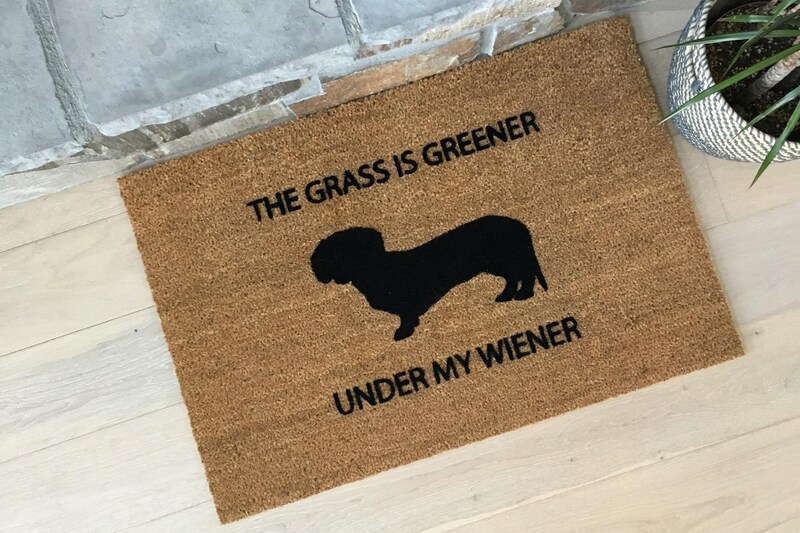 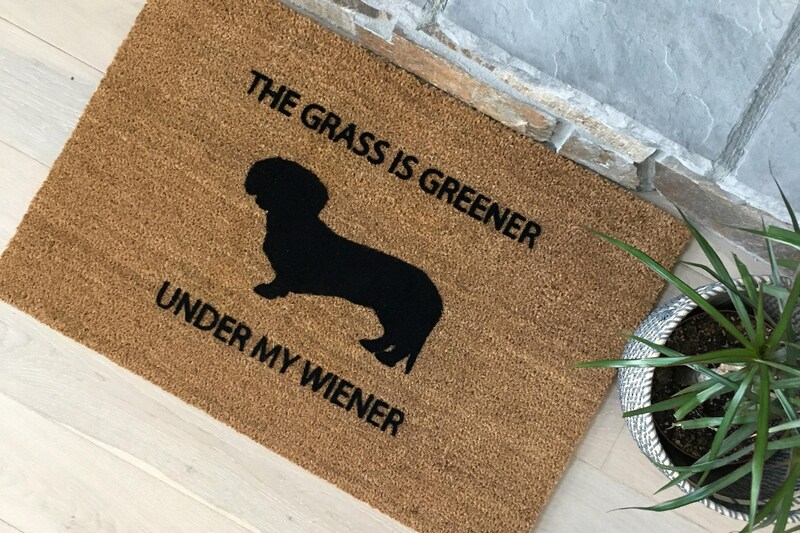 This hilarious doormat is a must for all dachshund/wiener dog lovers! 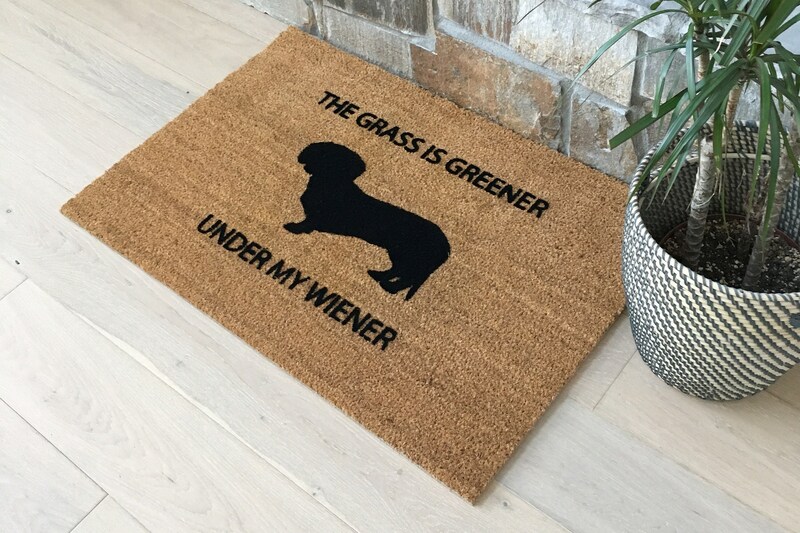 The play on words here will definitely have all of your guests laughing. 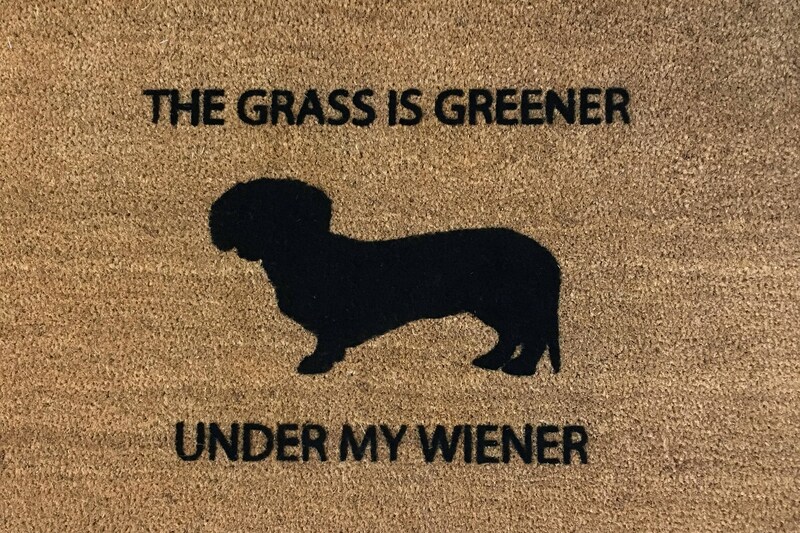 Our 'Wiener' door mat makes a perfect gift as well!